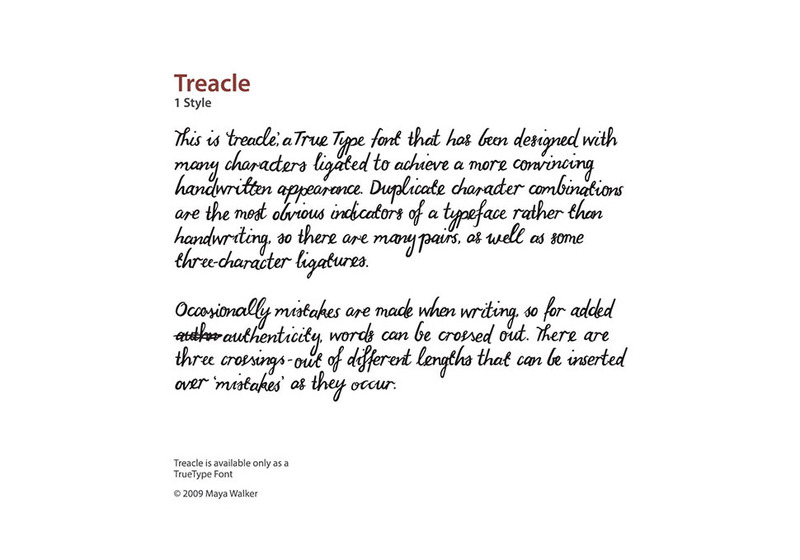 Treacle is based on the unique vision of a functioning yet variable typeface. 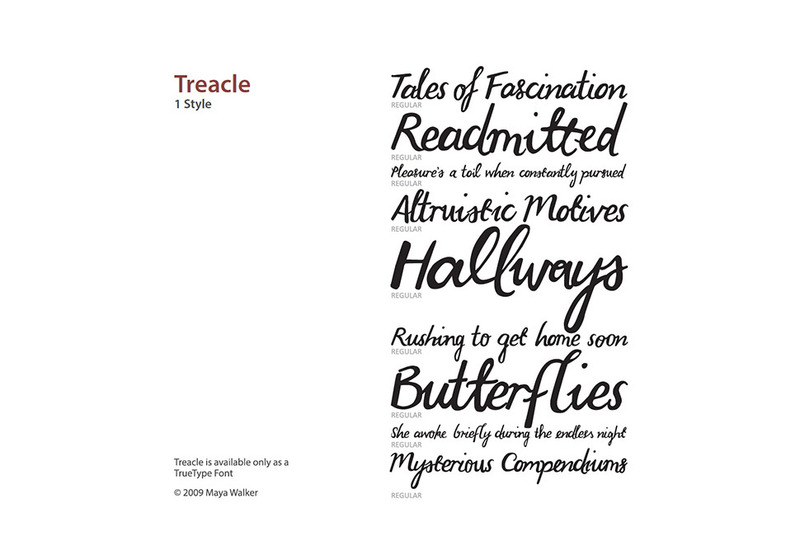 "So many script fonts today are overly ornamented and feature repetitive flourishes and homogenous letterforms; Treacle pays tribute to the more individual characters that appear when writing by hand". 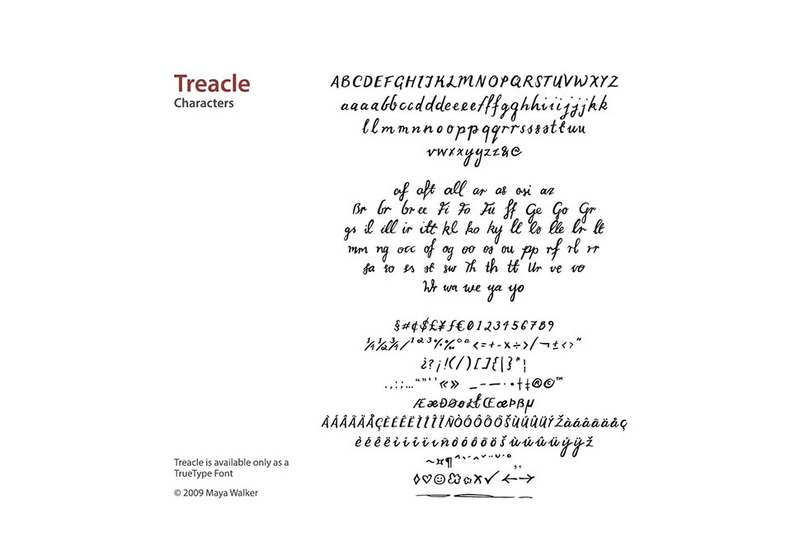 With both smooth and interupted flow, it features standalone characters as well as ligated forms with up to three letters. It also includes crossings out which can be placed over 'mistakes' as they are 'written'.